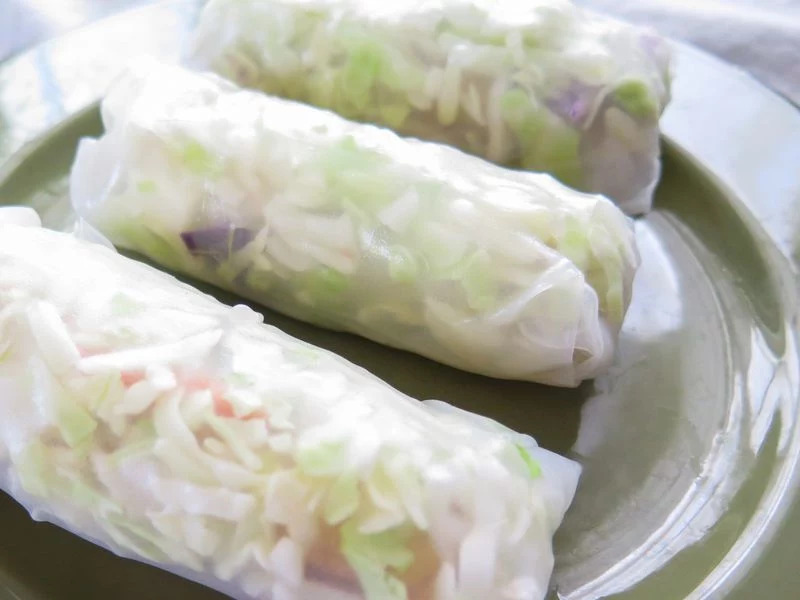 Today I made spring rolls for lunch. It was really easy and good. I had a kale mix and tofu inside and some soy sauce with it. I soaked the spring roll skin quickly while I cooked the tofu in a pan on high heat. Then I put the soft skin on a plate, took some of the kale mix and put a slice of tofu on top. I think this would have tasted even better with some sweet and sour sauce. Really easy to make, healthy and you can put whatever you want inside.